mstsc.exe, to open (start) the program for the Remote Desktop Connection in Windows 2000, XP, 7, Vista and in Windows-8. Here in the example, i connect from a Windows XP computer with a notebook (Asus Turion X2 2.2 GHz Windows-8 Performance Index 4.9 production 5/2006 ... see Image-3 ). Remote Desktop Connection works only if a password for the remote account already exists. ... How can i change or remove the Windows 8 user password? ... How to manage users in Windows-8 (add, remove, enable)? 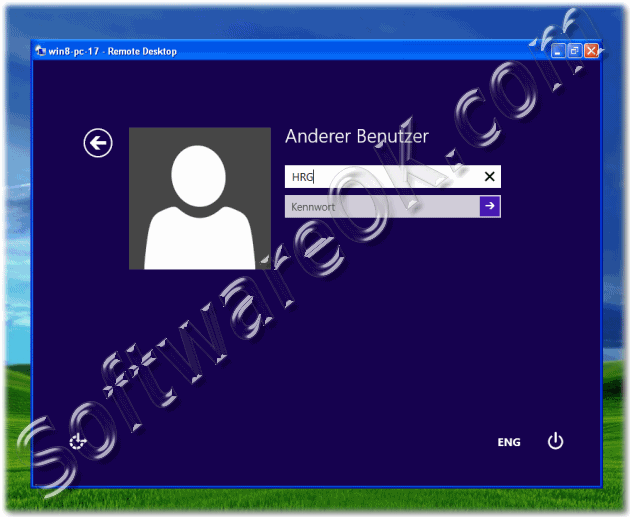 ... How to add users Windows-8 Remote Desktop connections (allow, disallow, access authorization)? Windows-8 - FAQ-56: How can i connect with Windows 8 / 10 by using Remote Desktop Connection (command, cmd prompt)? Exe for remote desktop connection windows 8? How to run mstsc from windows 8.1? Run mstsc in windows 8.1? Can i run the old remote desktop connection program on windows8? How to remote connect to windows xp from windows 8? Cmd activate remote desktop windows 8? Windows 8 remote desktop cmd? Remote desktop windows 8 command prompt? Installing the mstsc.exe for windows 8? Run mstsc on Windows 8? Remote desktop windows 8 open mstsc i note pad? Run mstsc in windows 8? Remote access command in windows 8? Remote windows 8 through command line? Remote login full window command windows 8? Windows 8 remote desktop from command line? Remote desktop command windows 8? Remote desktop command in windows 8? Command for remote desktop windows 8? Can windows 8 run remote desktop? How to run windows 8 in the windows 8.1 desktop eg Remote desktop connection? Command with remote desktop connection on windows 8 error? 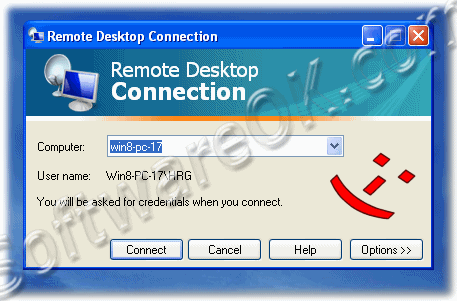 How to connect remote desktop connection in Windows 8.1? Open remote desktop connection from command prompt in windows 8? Windows 8 how to run mstsc? Windows 8.1 rdp to windows xp? Win 8 rdp command prompt? Remote desktop connection windows 8 command? Remote desktop from window 8.1 to xp pdf? Windows 8.1 open new rdp window from command line? Remote desktop windows 8 connect? Windows 8 command for remote desktop? Command prompt for windows 8 to connect to remote pc? Windows 8 rdp command line? Command for getting remorte connection on windows 8? Cmd commands remotely windows 8? Setting remote desktop connection windows 8 from command promt? How to use cmd to view remote connections windows 8 command? Windows 8 remote desktop command prompt? Rdp commands for windows 8? Win 8 find remote desk command? Run remote resktop windows 8? Child account login windows 8.1 remote descktop? Remote command for windows 8? How do i find mstsc.exe on windows 8.1? How to code command prompt to allow remotely connect in windows 8? How to run mstsc in windows 8.1? How to remote log on with windows 8.1? Remote desktop connection run command?